Have I mentioned how much I love bunnies? 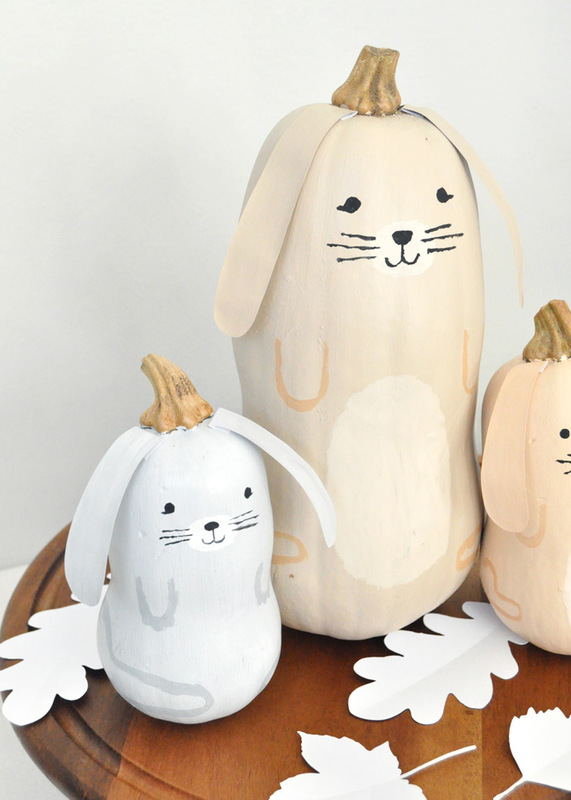 They’re my absolute favorite, so anytime I can make a bunny-themed craft, count me in!! 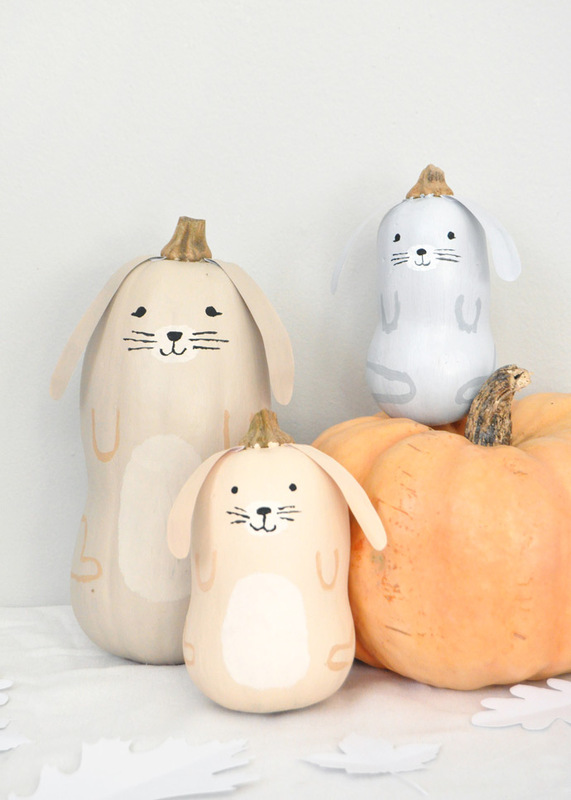 I was browsing pumpkin-carving ideas for Halloween when I saw a few different pumpkins painted to look like adorable bunnies. 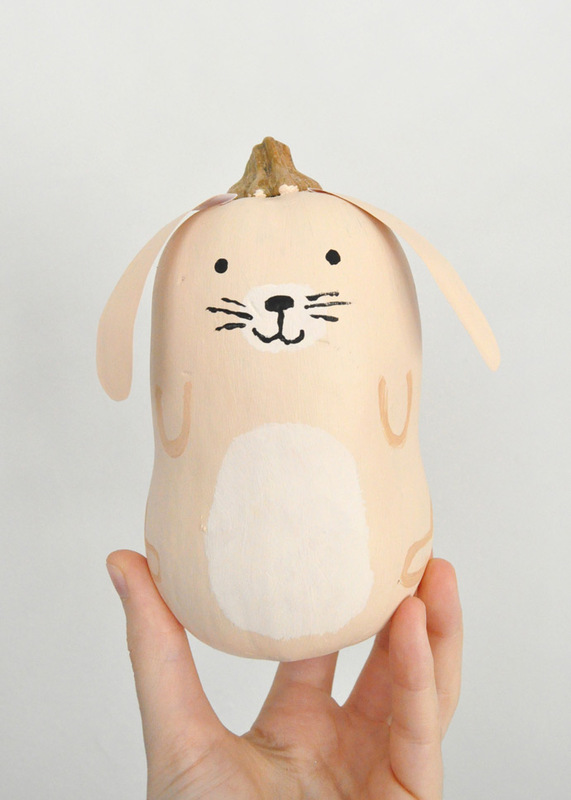 Not long after, I realized that butternut squash are actually the perfect shape to be turned into bunnies too! 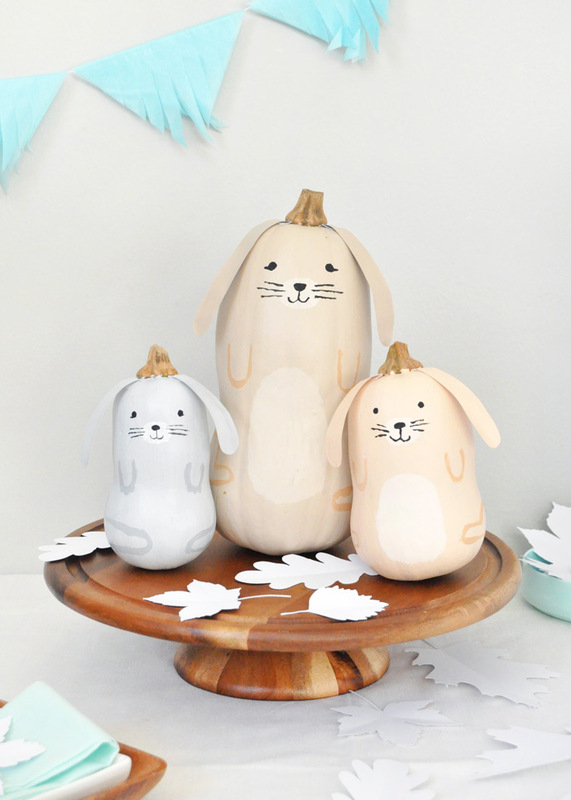 I love the idea of painting a few butternut squash into lop-eared bunnies for a cute woodland-themed Thanksgiving table. 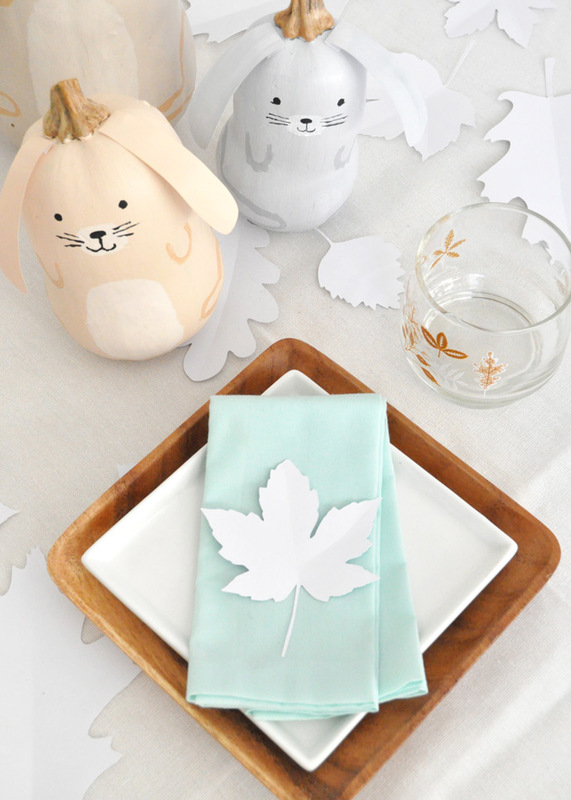 You could even use this as an activity for kids to paint their own bunnies for the table! 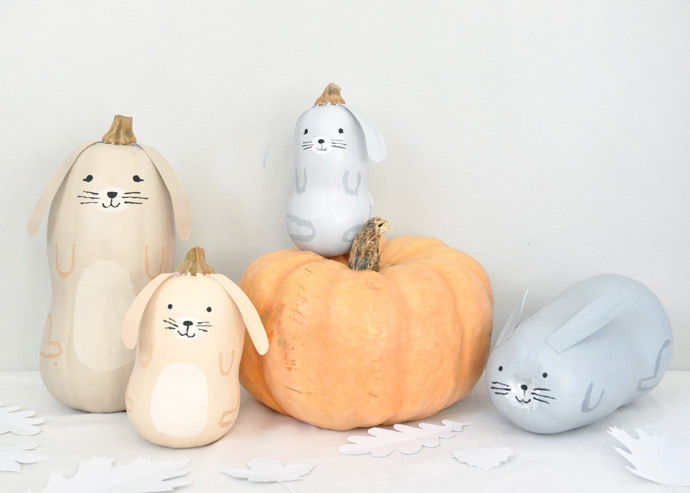 I went with a more neutral color scheme for these bunnies, but pastels or jewel tones would be fun too don’t you think? Happy Thanksgiving! 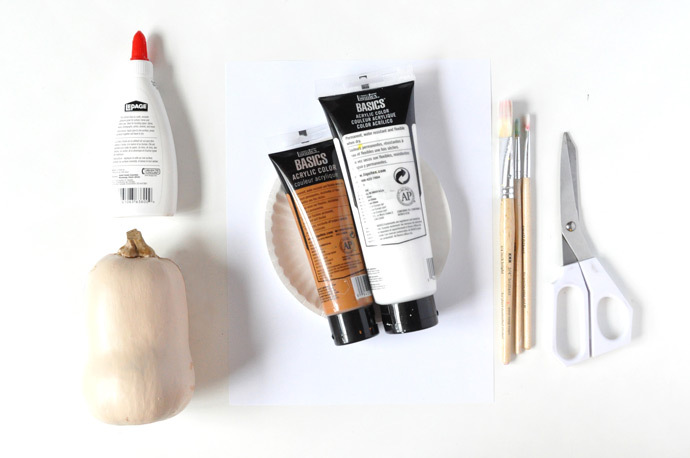 Paint your butternut squash with acrylic paint and let dry completely. 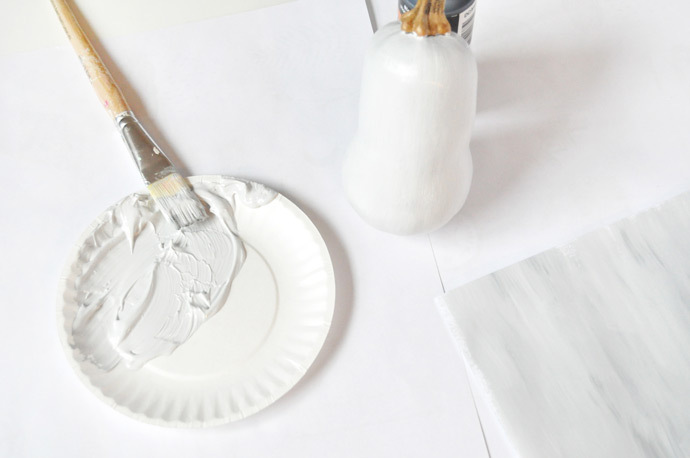 I used pale neutral colors for a woodland feel, but pastels or jewel tones would be cute for an even more playful table! 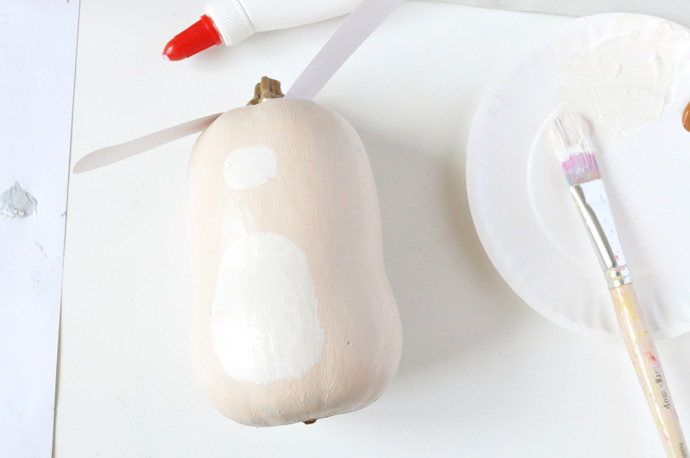 Use the same paint you used on each butternut squash to paint some plain paper. Let dry and then cut into bunny ears as shown. 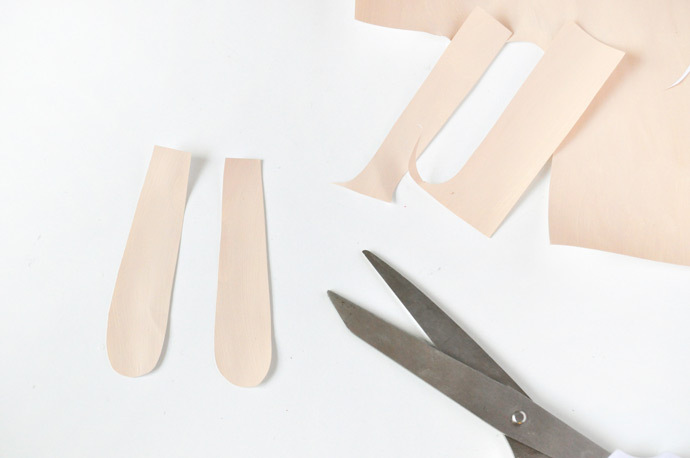 Fold a small tab onto the end of each paper ear and glue onto the top of the butternut squash. 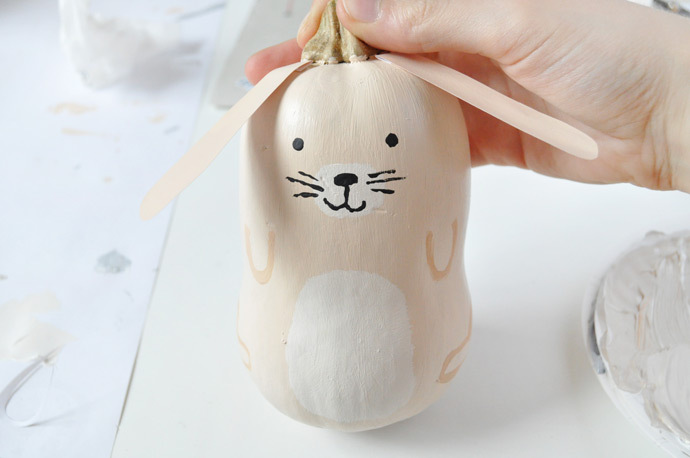 Then use a contrasting color to paint on a little patch for the bunny’s nose and belly. Let dry. 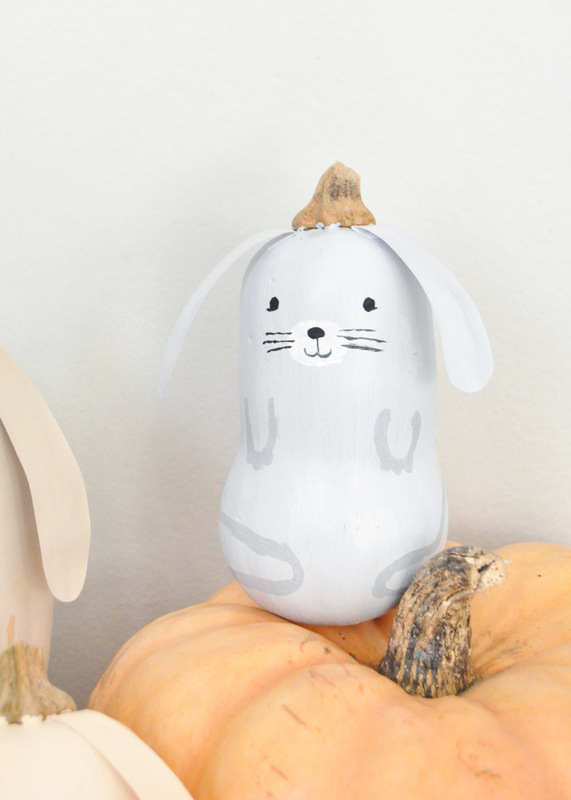 Use black paint and a fine paintbrush to add the bunny’s face: eyes, nose, mouth, and whiskers. Then use a slightly darker shade of the body color to add on little arms and feet. Let dry. I also glued a cotton ball onto the back of each bunny as a tail! 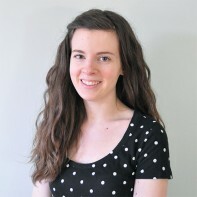 OMG stop – this is too cute!